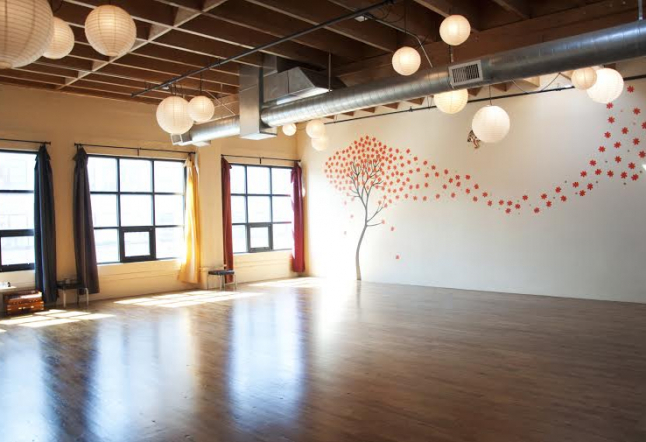 Yoga Bhoga has evolved over its dozen or so years in Portland. 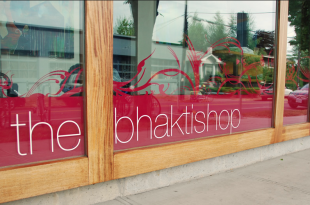 Now in its third space with its third owner, the focus has shifted from ashtanga and power yoga to more vinyasa and hatha, having also adopted some yin and restorative classes as well. Tucked under a freeway bridge close to the river, Yoga Bhoga has an urban feel. At night, the highway view takes on a magical quality as students look out the window and see speeding lights drive by. Most classes are 90 minutes, with one-hour lunchtime classes at noon on weekdays. The schedule rates classes as gentle, active, or vigorous—giving students an idea for what they’re getting into. A class called Align & Refine is offered three times a week and focuses on alignment and precision. It’s done at a slower pace than vinyasa classes, offering longer holds and some less common postures. The studio regularly hosts visiting teachers; the most notable guest so far has been Max Strom, who has made Yoga Bhoga his Portland teaching home for the past six years. Highlights of the workshop schedule include frequent restorative sessions with long-time Bhoga teacher Amy Armstrong. 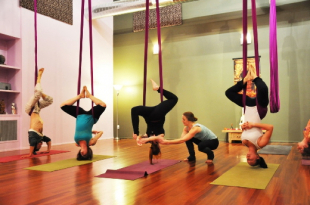 The studio offers a Yoga Alliance-certified 200-hour teacher training program as well.